To date, approximately 500 people working together for the destination’s environment have filled over eight thousand black trash bags. The 11th Riviera Nayarit Beach Cleanup Network event will take place on Saturday, April 11th at the close of the Holy Week and Easter vacation period and after thousands of visitors poured into the destination’s beaches. These actions are more important than ever because of the vast influx of visitors and the evident increase in trash generated during the visit of thousands of domestic tourists. Since the program’s inception in June of 2014, over eight thousand black bags have been filled with trash thanks to the work of the more than 15 citizens’ groups who have worked together with students and businesses to create awareness and change. 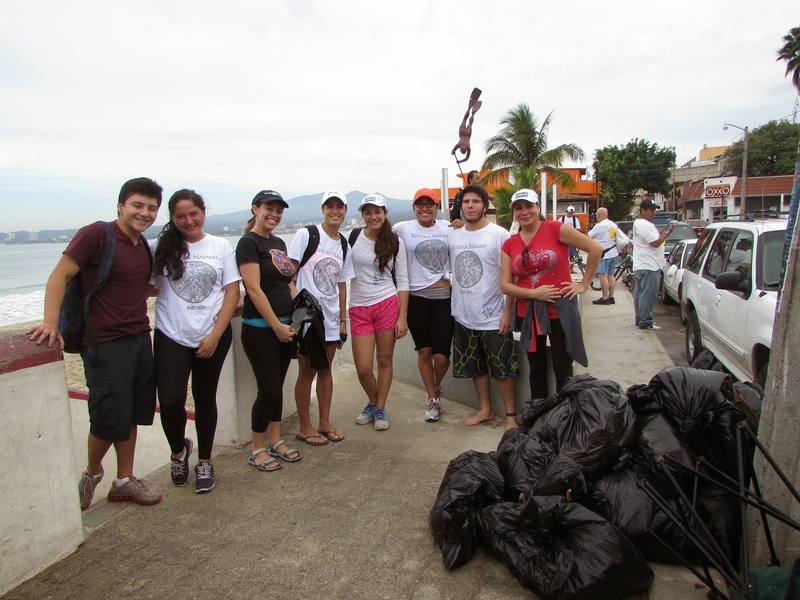 The microdestinations that benefit from these actions, which take place every second Saturday of the month, now stand at 12 and include Nuevo Vallarta, Bucerías, La Cruz de Huanacaxtle, Punta de Mita, Sayulita, San Pancho, Lo de Marcos, Los Ayala, Guayabitos, La Peñita, Platanitos and the Isla de Mexcaltitán. The Riviera Nayarit Convention and Visitors Bureau (CVB) encourages society at large to view the beach as they would their own home and, as such, to throw the trash where it belongs. It’s also important for everyone to remember that pets are the owners’ responsibility and the beach is no place for pet waste; please bear in mind it can spread diseases in humans. Leaving trash on the beach and in the water constitutes an attack on nature and its species, many of which are protected because they are in danger of extinction.